The ACGC football team will take their new-found winning streak west as they clash with the Tri-Center Trojans in Neola tonight. The Chargers are coming off a 14-8 overtime win for the story books over Nodaway Valley. Senior Ben Kingery had a game high 127 yards rushing and two touchdowns to lead the gold and black back to the winners circle. He’s well on his way to smashing the record he set last year for yards in a single season, as he has already accumulated 323 in three weeks. 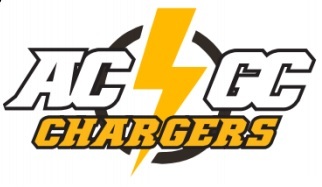 Kingery and the rest of the Chargers will face a Trojan squad who suffered a 41-7 loss to the squad directly ahead of ACGC in the Class 1A Iowa High School Activities Association RPI Rankings. The Trojans, who sit at 27th in the Class A RPI Rankings, scored just seven points and turned the ball over six times against the Underwood Eagles last week. Junior Trevor Carlson leads the Trojans with 375 yards and three touchdowns on the ground. Classmate Bryson Freeberg has tossed the pigskin for 423 yards and five touchdowns, though his five interceptions might be costly against a stout ACGC defense, which corralled two last week against Nodaway Valley. That defense hasn’t allowed a touchdown in six of the last eight quarters of play, including the entire second half and overtime last week. The Chargers are 0-2 against the Trojans all time, falling 34-6 in Guthrie Center in 2016 and 41-0 last year in Neola. You can hear tonight’s game live on your home for ACGC athletics, KKRF2 and RaccoonValleyRadio.com. Pre-game coverage begins at 6pm with kickoff set for 7 from Neola.